MySpace and Six Apart will announce that they are joining Google’s OpenSocial initiative. Silicon Alley Insider reported the MySpace rumor earlier today. We’ve confirmed that from an independent source, as well as the fact that Six Apart is joining. Per the update below, Google has also confirmed Bebo is joining. Google will be making an announcement today. MySpace and Six Apart join Orkut, Salesforce, LinkedIn, Ning, Hi5, Plaxo, Friendster, Viadeo and Oracle as announced Google partners. No word on whether MySpace will continue with efforts to complete its own recently announced platform, but the answer is probably yes. They are likely to simply do both (Update: see below). Suddenly, within just the last couple of days, the entire social networking world has announced that they are ganging up to take on Facebook, and Google is their Quarterback in the big game. 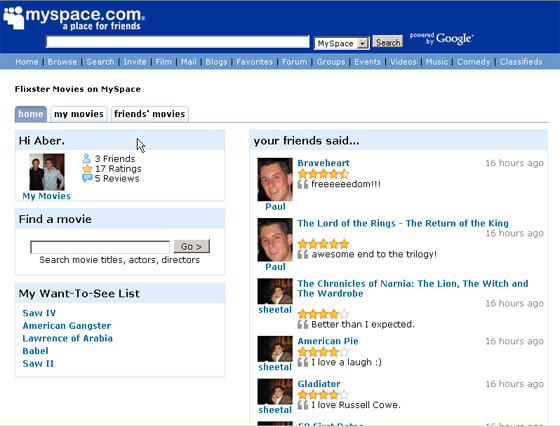 On the call, Google CEO Eric Schmidt said “we’ve been working with MySpace for more than a year in secret on this” (likely corresponding to their advertising deal announced a year ago). MySpace says their new platform efforts will be entirely focused on OpenSocial. The press release names Engage.com, Friendster, hi5, Hyves, imeem, LinkedIn, Ning, Oracle, orkut, Plaxo, Salesforce.com, Six Apart, Tianji, Viadeo, and XING as current OpenSocial partners. 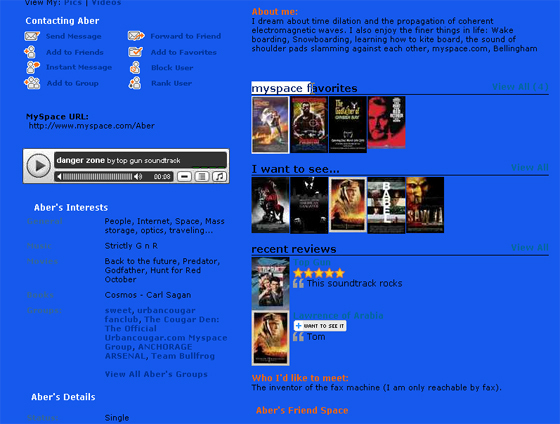 We’re seeing a Flixster application on MySpace now through the OpenSocial APIs. Flixster says it took them less than a day to create this. I’ll add screen shots below. Here’s the big question – Will Facebook now be forced to join OpenSocial? Google says they are talking to “everyone.” This is a major strategic decision for Facebook, and they may have little choice but to join this coalition. Bebo has also joined OpenSocial.